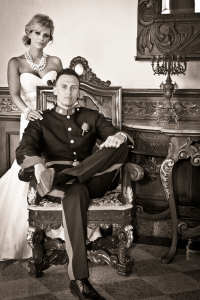 Riu Palace Resort Los Cabos isn’t just for movie stars anymore, check out our star wedding couple Kayla and Krystian! Kayla and Krystian met 6 years ago and got engaged in 2012 in Los Cabos when they went their for a holiday. I love hearing about engagements while on holidays, it sets couples up with a lifelong love of travel. Kayla and Krystian fell in love with Los Cabos and chose to create their dream wedding in Los Cabos with treasured family and friends. 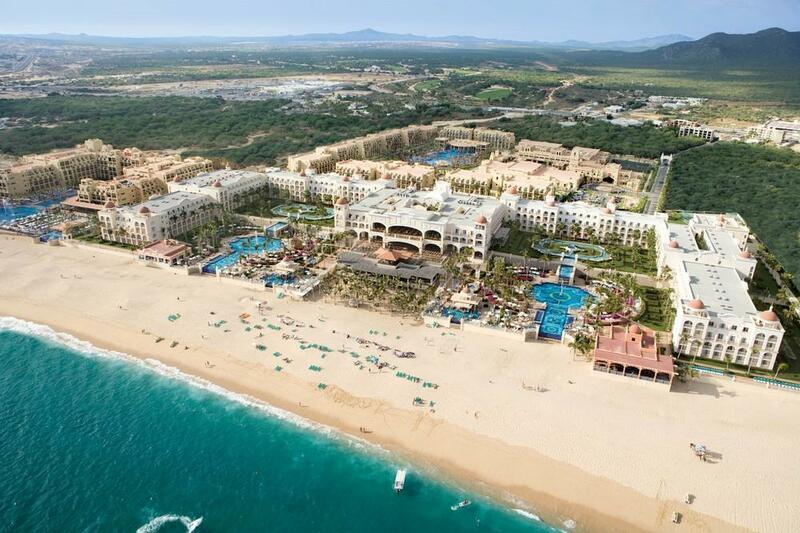 Their resort of choice: the beautiful Riu Palace Resort Los Cabos! Inspiring, elegant and so down to earth and personable, they truly are one of my favorite couples and destination wedding groups. We were thrilled to receive their wedding pictures and are dying to show them off! The Arc of Cabo San Lucus is a distinctive rock formation where the pacific ocean meets with the Gulf of Mexico. 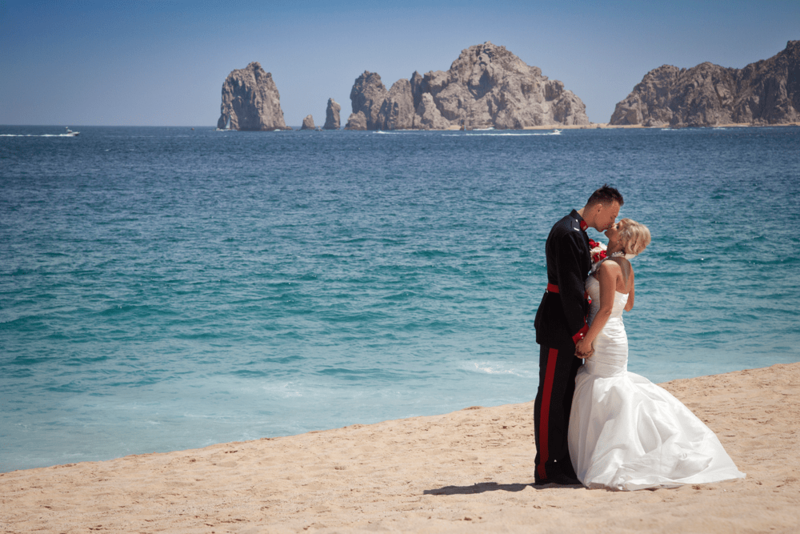 This backdrop is one of the main reasons photographers love to shoot weddings in Cabo San Lucas. Kayla and Krystian hired photographer Kameron Tarry www.kamerontarry.com. We love Kameron’s exceptional use of light and dramatic set up beautifully portrayed in these fabulous pictures of Kayla and Krystian. 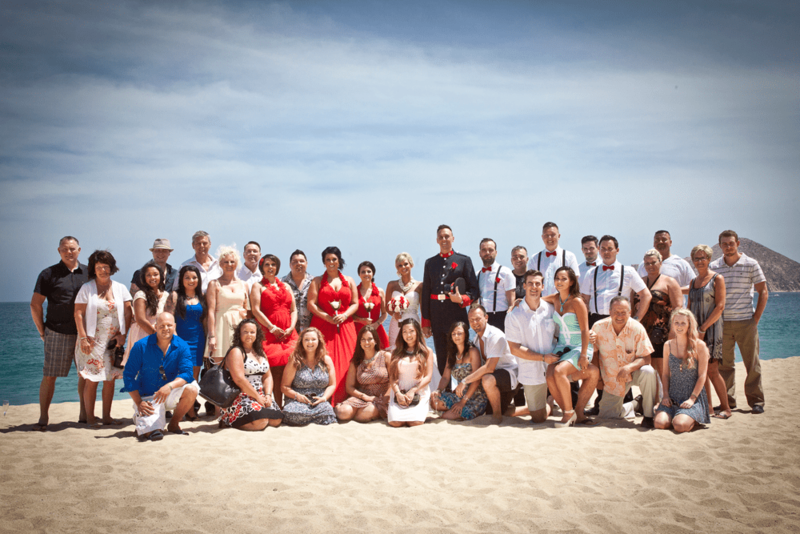 Red really works brilliantly here as a contrasting colour for this wedding group photo, set against this stunning beachfront backdrop. 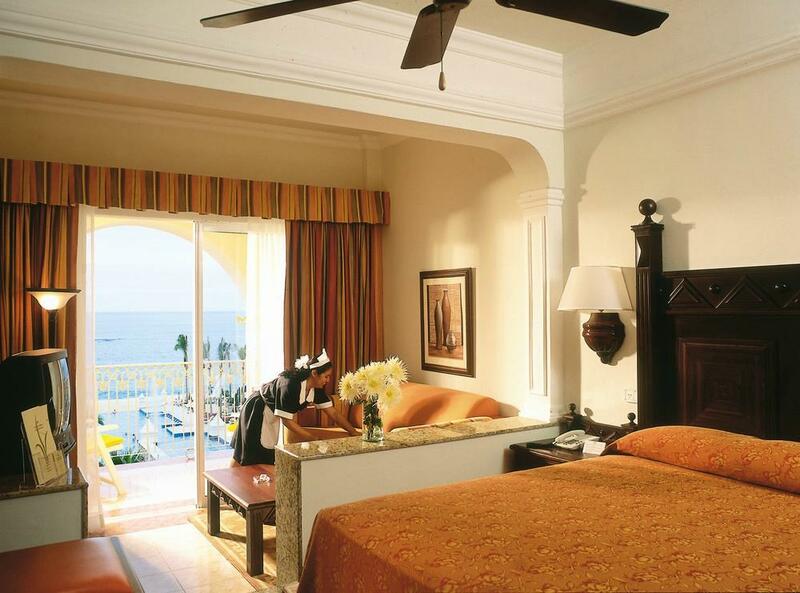 All-Inclusive 24 hrs and room service is also available 24 hours a day. There are 5 restaurants two lobby bars, 2 poolside bars, swimming pools and also two children swimming pools which are great for families. Free Wifi is located throughout the hotel. Only a 10 min drive to Cabo San Lucas! For more information about Riu Palace Los Cabos, watch their promotional video: RIU Palace Cabo San Lucas: Los Cabos- Apple Vacations. Riu is also well set up for destination wedding packages, affordable, designable and most of all fun filled! Classic, Royal and Caprice are their selections for 2015 and 2016. 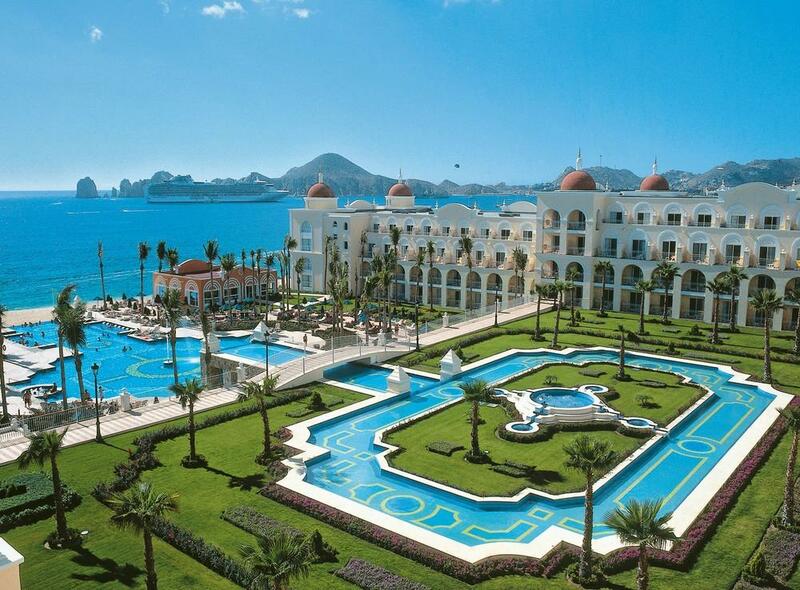 Riu Palace Resort Los Cabos has some gem options for you wedding reception and we’d love to tell you about them so you can decide which one is right for you! Riu Weddings have some amazing offers these days. Riu Palace Resort Los Cabos View from the Ocean. More information can be found at www.weddingsbyriu.com. Inside info: This is one property you’ll want to talk to us about their unique private reception options – it’s one of my all time favorites and so affordable as well! For more information, view the official brochure for Weddings by Riu.